Location: 471 Squire Cummings Road, Victoria Falls, Zimbabwe, . Built on a plateau overlooking the Zambezi National Park, Victoria Falls Safari Lodge is just 4km from the majestic Victoria Falls and offers a unique wildlife experience. We’re proud to have been voted Best Safari Lodge / Resort Hotel in Zimbabwe for 20 consecutive years and look forward to welcoming you to our wonderful destination. Our staff are warm and personable, and will ensure your holiday is hassle-free. Built of thatch and timber, the lodge rises several levels, giving the impression of a vast open-plan tree house. Our rooms all have private balconies, most of which overlook a central waterhole, offering the opportunity to observe herds of buffalo, elephant and kudu, as the sun goes down, and hyenas later in the evening. • Credit cards accepted: VISA, Amex and MasterCard. Direct bank transfer is our preferred method of payment and must be paid in the currency as invoiced into relevant accounts as stated on the invoice/statement. All incoming payments should be gross and bank charges are for the payee’s account. • Check-in time for Victoria Falls Safari Lodge, Victoria Falls Safari Club, Victoria Falls Safari Suites and Lokuthula Bed and Breakfast Lodges is 14:00; check-out time is 10:00. • Check-in time for Lokuthula Self Catering is 16:00; check-out time is 10:00. • 24 hour reception service at Victoria Falls Safari Lodge reception. • Activities desk located at Victoria Falls Safari Lodge (open from 07:00 – 19:00). • The Boma – Dinner and Drum Show and MaKuwa-Kuwa Restaurant are located on the same resort complex and open to all guests. Bookings are essential. The Boma – Dinner and Drum Show can be exclusively hired based on a minimum of 250 guests. • Private and bush dinners available on request with charges applicable. • Baby-sitting facilities on request at a nominal charge.• Ample free, secure open parking space. • Curio and gift shop at Victoria Falls Safari Lodge. • A complimentary shuttle bus service transports guests to the Victoria Falls Rainforest and town centre (village market and Victoria Falls) on an hourly basis throughout the day.First shuttle bus departs at 07:45 and operates on an hourly cycle with the last shuttle bus departing at 21:45. It is approximately a 15 minute journey to the rainforest and town centre. • Complimentary evening shuttle bus to The Boma – Dinner and Drum Show for resort residents only. • A night reception service is available at Victoria Falls Safari Lodge (can be dialled from all properties/rooms on the resort). • 24-hour security and medical air rescue service facility is on call locally. NB. It is the responsibility of each guest to have adequate medical and travel insurance cover for the duration of his or her trip. • Private shower facilities for early arrival and late check-out guests located at Victoria Falls Safari Lodge. • Swimming pool with sun deck located at Victoria Falls Safari Lodge for Victoria Falls Safari Lodge, Victoria Falls Safari Club, Victoria Falls Safari Suites and Lokuthula Bed and Breakfast guests only. • Complimentary activities on the resort are nature trails as well as the Vulture Culture Experience, which occurs daily at 13:00, below the Buffalo Bar viewing deck (duration is approximately 30 minutes). This is a conservation project to help maintain the local vulture populations, providing guests with a thrilling insight into the lives of these raptors. • Resort activities on offer for an additional fee consist of the Siduli Hide and guided walks. These can be booked in advance or at our Activities Desk. 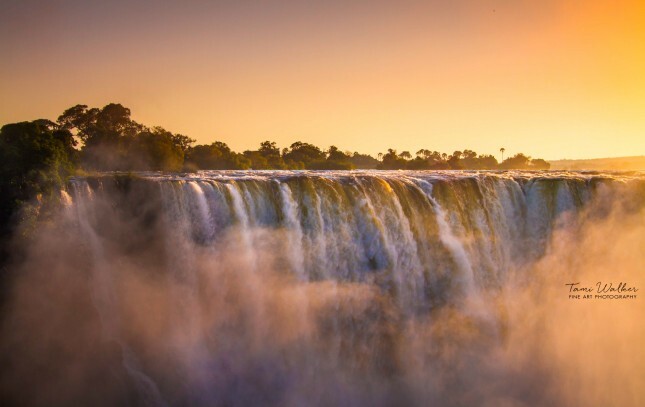 • Additional activities in the region may be booked at the in-house Activities Desk including white water rafting, canoeing, helicopter flights over the Victoria Falls, game drives, sunset cruises, bungee jumping and gorge swings. Guests may use the lodge’s complimentary shuttle bus to visit the Victoria Falls Rainforest. • Tailor made wedding services. (Quotations available upon request). • Incentive and team building programmes available. (Quotations available upon request). 471 Squire Cummings Road, Victoria Falls, Zimbabwe, . Location: Chobe Forest Reserve, Botswana, Maun, Botswana, . Located in Botswana, this oasis is in a wildlife wonderland. This boutique lodge offers unrivaled panoramic views over the game-rich Chobe River and floodplain, and is on the doorstep of Chobe National Park, also known as Land of the Giants, as it is home to the largest herds of elephants on Earth. Expect a vast and diverse array of wildlife as knowledgeable guides take you on safaris through the Chobe National Park, home to the largest elephant herds on Earth, lazy afternoons by the pool and stunning dinners under African stars. Additional activities include river cruises (on the full day safari), night game drives, game walks and local community visits. A joint community and privately funded project developed with the Chobe Enclave Conservation Trust (CECT), Ngoma Safari Lodge is committed to making a sustainable difference to the local communities and their environment. The lodge employs from the local communities, which also benefit directly from every bed night booked. 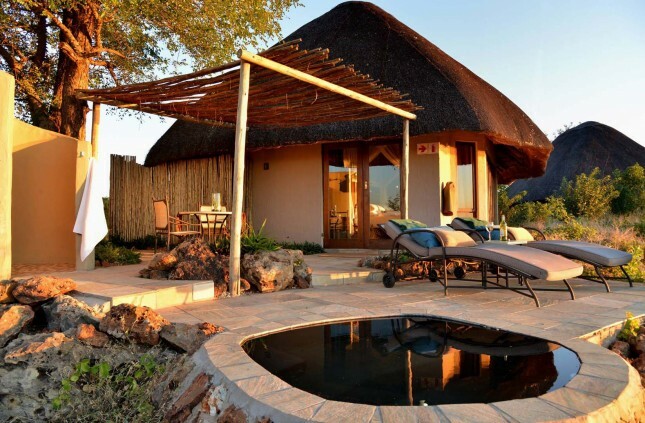 • Located on the grounds of the Victoria Falls Safari Lodge Resort are a total of 31 rustic, timeshare self-catering units known as Lokuthula Lodges. Some of these units may be booked on a Bed and Breakfast basis. The lodges are split level in design and open fronted with blinds affording magnificent views of unspoilt bushveld. A nearby waterhole attracts a wide variety of wildlife throughout the year including warthogs, bushbuck, and many species of birdlife are often seen in the gardens surrounding the lodges. • Breakfast for Lokuthula Bed and Breakfast guests is served at The Boma Café between 07:00 and 10:00 daily. • Check-in time is 14:00; check-out time is 10:00. • A poolside bar and terrace serving breakfast, light meals and snacks at The Boma Café is open from 07:00 to 16:30. • A three-tier swimming pool with children’s paddle pool, children’s playground and volleyball court is located next to The Boma Café. • Lokuthula Lodges Bed and Breakfast are serviced daily and all linen is provided. • Residents’ lounge with satellite TV is situated above The Boma Bar. • Same day laundry service for guest account (weather permitting). • Complimentary Wi-Fi is available at the Lokuthula Reception and at the Victoria Falls Safari Lodge central building and viewing deck. With our partnership with CECT, cultural experiences and interaction with the community are an integral part of the Lodge’s activities and these include visits to the local school, the clinic and the village. • A full day safari: incorporating a cruise on the Chobe River, a game drive in the Chobe National Park (which has over 75 species of mammals) and apicnic lunch. • Night game drives: these are done in the Chobe Forest Reserve. • Birding: there are over 450 species to be spotted in the region. Private Game Vehicle Hire - Rec. Rate (Rack) US$600 per vehicle per day. Nett US$450 per vehicle per day. Chobe Forest Reserve, Botswana, Maun, Botswana, .